Muskoka Lakes Golf and Country Club is one of my favourite places in Ontario to photograph a wedding. It is beautiful, service is terrific, and the atmosphere is romantic. Often the couple have cottages nearby and get ready at the cottages before heading to the club. 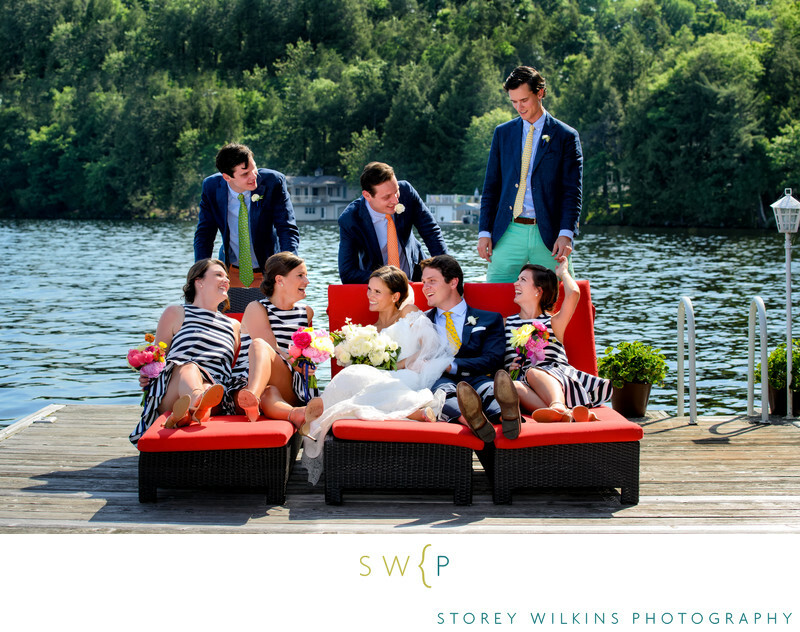 I love to photograph bridal parties on the dock.